The phone does everything it sets out to be: a smartphone with all the features that someone with special needs or a silver surfer with limited knowledge of tech will need. However, it falls down on two aspects that are crucial for the said groups. Chances are these blips will not affect your decision to buy the device. You can either see it as a slightly low-spec budget Android device or a lifeline to those who have never owned a mobile phone but would like to own one. 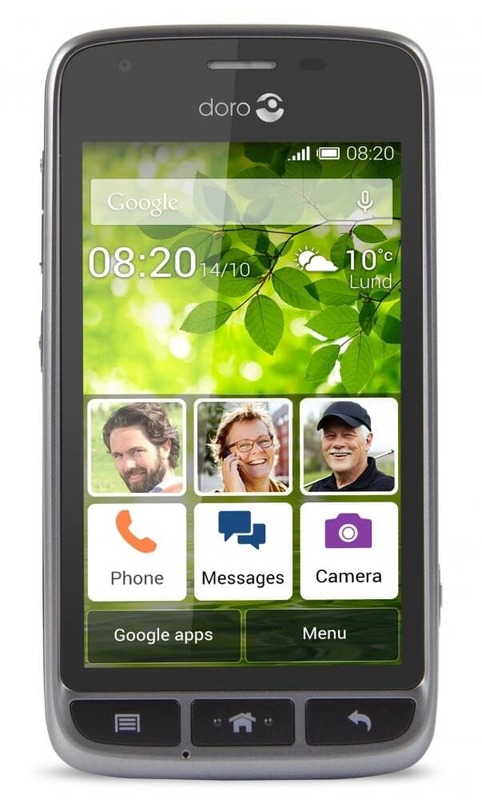 The Doro Liberto 820 Mini is a great attempt at an accessible smartphone, and Doro's software experience remains the best smartphone entry point for the elderly and vulnerable. But if you're really after one, we'd definitely stretch to the slightly bigger, more manageable, yet pricier Liberto 820 if you really need after an accessible phone. There are two ways of looking at the 820 Mini, it is either a rather underpowered Android smartphone that doesn't really have any unique selling points bar the software or you could see it as a really great phone for the elderly, the technologically unsure or for a child. Every day, we search through thousands of tariffs and offers from UK online retailers to find the best Doro Liberto 820 Mini deals and contracts across a selection of price points and needs. Select 'Pay Monthly' if you're looking to get the Doro Liberto 820 Mini as part of a monthly contract with minutes, data and texts. Alternatively, choose 'No Contract' if you prefer to buy the Doro Liberto 820 Mini SIM Free or on Pay as You Go. Finding the perfect deal is easy. Just use the sliders to filter tariffs for minutes, data, monthly cost and upfront cost. You can also filter by network and retailer to find the best Doro Liberto 820 Mini deal for you! The cheapest contract price in this category is cheaper than buying the Doro Liberto 820 Mini SIM Free and a comparable SIM Only tariff by . You could save on the cheapest contract price in this category by buying the Doro Liberto 820 Mini SIM Free and a comparable SIM Only tariff separately.